How would Donald Trump’s Economic Record Measure Up in Africa? 1990 was a rough year for African economies. Most countries were emerging from a decade of Structural Adjustment programs that cut public spending, and a wave of political liberalization and democratization was beginning to chip away at dictatorships across the continent. 1990 was also a rough year for Donald Trump because his financial empire was 3.4 billion dollars in debt. 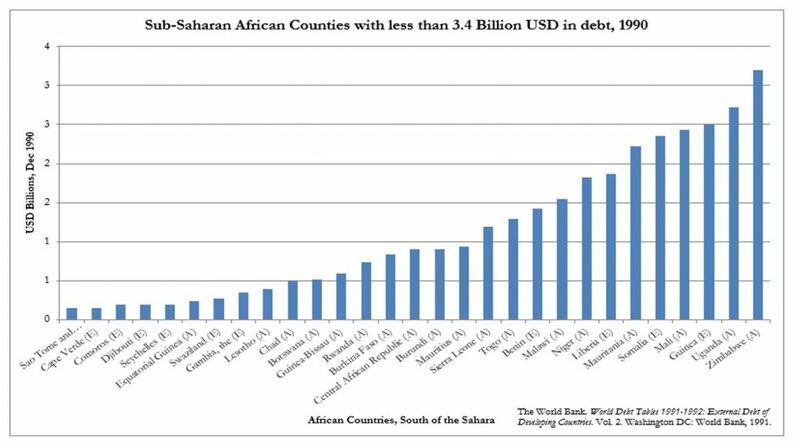 To give African readers a sense of scale, there were 29 countries with less debt than Donald Trump in 1990. One could argue that Niger, Burundi, and Chad all seemed to be doing a better job managing their money, at least by this measure. The graph below gives us a compelling visual. Trump dealt with the looming financial catastrophe the way many shrewd American business people do: by not paying taxes. When challenged on this scenario in the presidential debates, he said “That makes me smart.” In 1995 he exploited (or possibly abused, since one of his lawyers called the trick “legally dubious”) a tax loophole to declare an astonishing $916 million loss on his taxes. One way to compare this “private” loss to a public policy failure is look at federal budget deficits as a proxy for seeing which countries were operating at a loss in 1995. A budget deficit is a ratio comparing spending to revenue. By this measure, at least 13 countries, including Zimbabwe (Zimbabwe!!) and war ravaged Algeria were doing better than Donald Trump. The graph below, using data from the World Bank and converting Local Currency Units to 1995 US dollars, illustrates this point nicely. 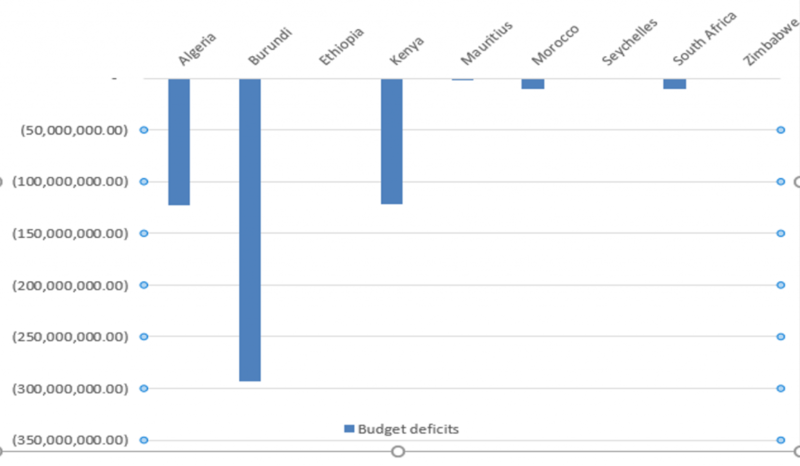 Nine countries had less loss than Donald Trump, and another four (Botswana, Cameroon, Egypt and Lesotho – not shown) apparently ran surpluses. This was calculated in two steps: (1) deficit in Local Currency Unit = surplus/deficit as % of GDP x GDP in LCU, then (2) deficit in USD = deficit in LCU X (LCU/USD) exchange rate. Maybe this is unfair. You can’t really compare budget deficits to corporate income, deficits are usually expressed as a share of the economy’s size, and a nation’s debt is different from corporate debt. However, a cornerstone of Trump’s campaign is that his business “success” qualifies him for the presidency. In addition, a mountain of social science research is premised on the idea that democratic politics is analogous to free markets: competition of ideas is similar to competition of goods, and voters are supposedly just like consumers. It doesn’t really matter where you fall on this analogy. But how you vote next week matters a great deal for both Africa and America. After all, we could end up with a president who is worse at economic management than the dictators who inspired millions of Africans to leave home. Many thanks to Erin Kelly for her research assistance and to Prof. Assen Assenov for crunching the numbers. This entry was posted in . on November 3, 2016 by Dr. Carl.